Commercial postcards of Columbus present the image of our young city skyline set against a bright blue sky or glittering at night. But what does the city look like to the people living within it? 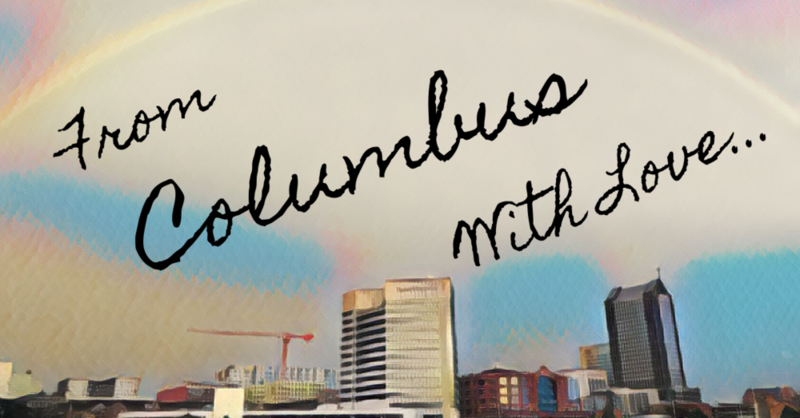 “From Columbus With Love…” presents images of Columbus from over a dozen artists living within its borders. What does this city look like to its resident creatives? Good. Bad. Ugly. Hopeful. Wild. Innocent. In a landscape of mass-produced, commercialized images of Columbus, take a moment out to take in fresh perspectives on dwelling in our common city. Join us at the opening reception to meet and chat with the artists or get creative in putting together your own postcard of our beloved city. Thank you to Wholly Craft, Greater Columbus Arts Council, Ohio Arts Council and the The Columbus Foundation for their support of this show.